A university professor bought an outdated property for herself and her nine-year-old daughter with the intention of creating a contemporary space. 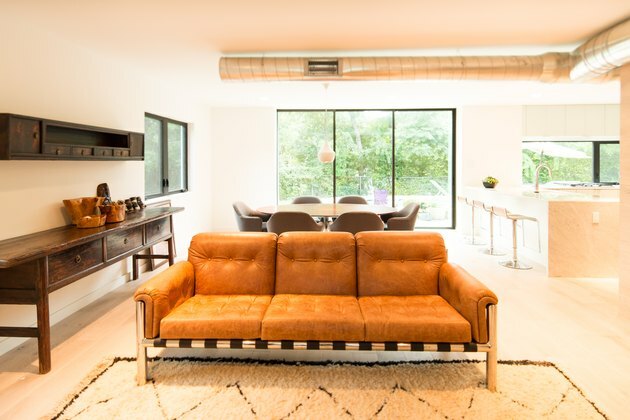 While the rest of the homes in this Southeast Austin neighborhood were mostly comprised of midcentury ranch styles, this owner had something else in mind: she wanted a place that was modern, and could also remain timeless for decades to come. But that wasn't her only challenge. 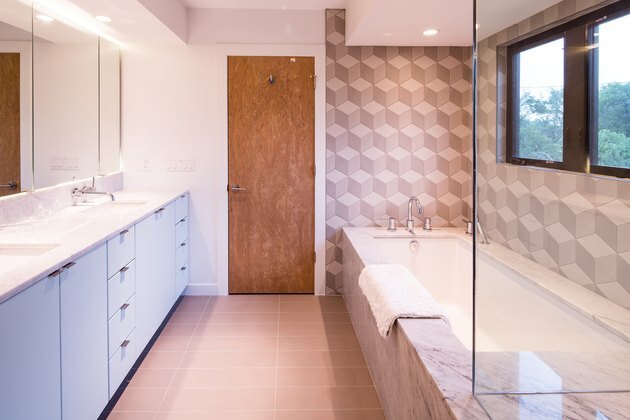 She approached un.box studio with a limited budget, and so the firm and Melde Construction decided to work around the existing frame to control costs. 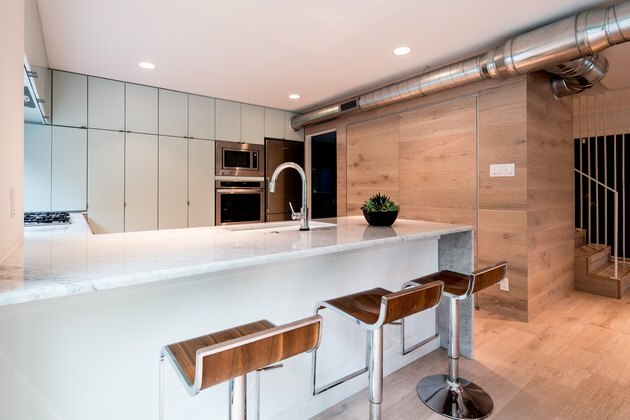 They kept the kitchen in the same location — which minimized running new electrical, plumbing, and gas lines — and tore down a wall to open the floor plan. Once that was finished, the team installed a sliding glass door in the midst of untouched window frames to better unify the site's indoor and outdoor areas. And when it was time for interior designers Maryl Georgi and Villa Rustica to furnish the house, they intertwined restored vintage items with new pieces to create a look that wasn't tied to a certain era. 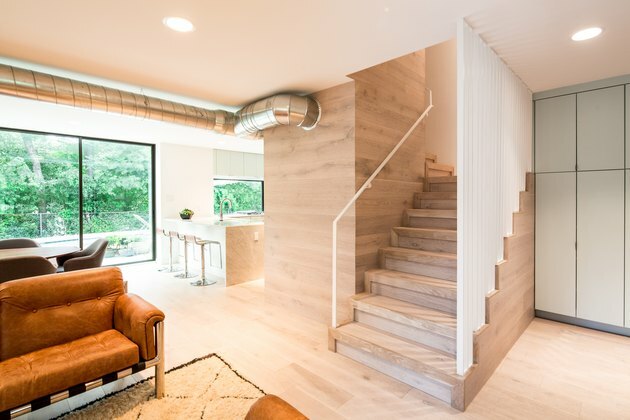 The result is charmingly retro and exceeding modern, thanks to a light palette that's paired with warm, natural woods. 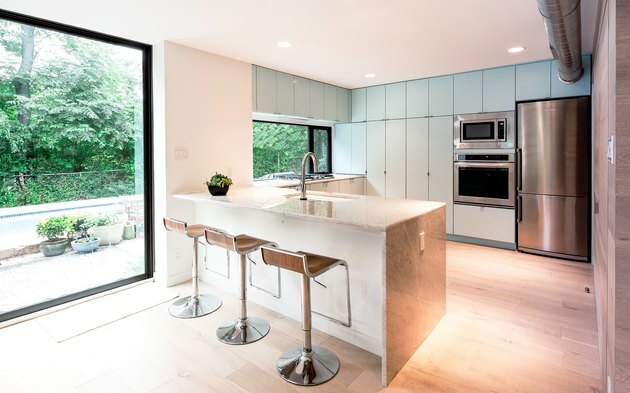 The kitchen transforms into an interior and exterior space using a multi-sliding glass pocket door from MI Doors and Windows. 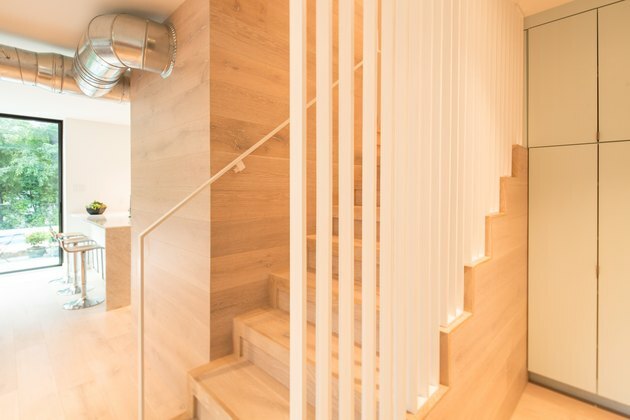 White-washed oak from Landers Premier Flooring complements an abundance of light from the sliding doors. 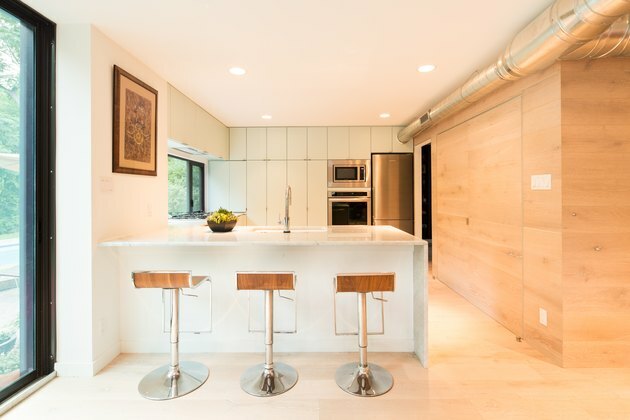 Cabinets by UB Kitchens in a muted green add to the airy feel. A French door refrigerator and stovetop by KitchenAid were chosen because of their modern, yet timeless, look. 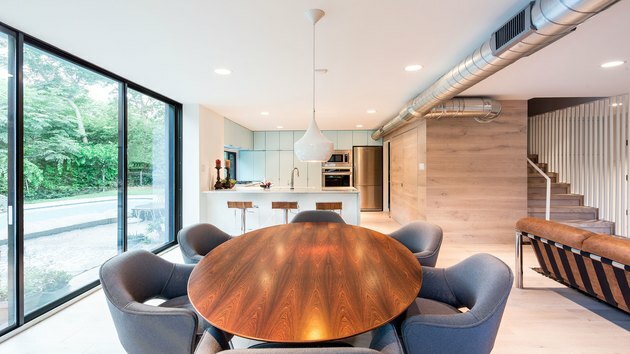 A Tom Dixon-designed black beat light shines down on a restored rosewood dining table by Knoll. Cozy Knoll executive chairs were also restored, which were originally designed by Eero Saarinen. A restored 1970s Hiebert couch and an Atlas Mountain Wool rug from Morocco Market give the open living room a vintage appeal. By replacing an intrusive beam soffit and column with a large beam recessed into the first floor ceiling, the living room appears brighter. However, in doing this, the firm was unable to conceal HVAC ducts and had to design an exposed spiral duct. Nevertheless, it heightens the room's modernity. The existing stairs were not up to code. So, the team knocked down the stair wall and chose steel louvers from Austin Iron + Fence as stair guards. The bathtub is made of Carrara marble by 3CM, and is surrounded by unexpectedly artistic tiles. 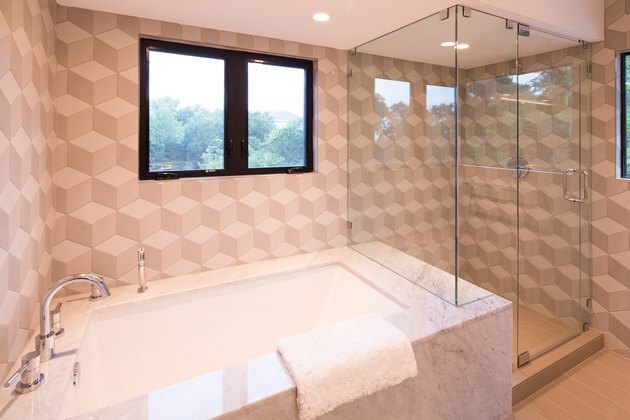 A geometric bathroom tile from La Nova Tile Importers unifies the bathtub with the glass-enclosed shower.